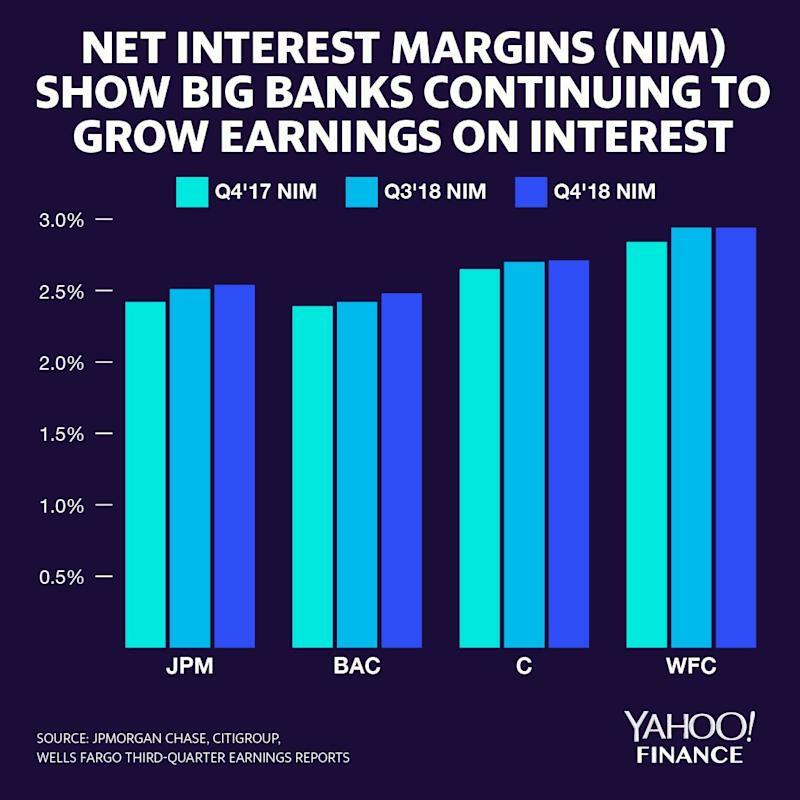 A running theme for big bank earnings is wrangling with slowing loan growth - the line of business largely considered to be the “bread and butter” of the banking business. The tepid pace of lending comes amid plunging readings on consumer confidence and declining manufacturing activity. Year-over-year, loan books (net of allowances for losses) grew by 6% at JPMorgan Chase (JPM), 3% at Citigroup (C), and 1.2% at Bank of America (BAC). Wells Fargo (WFC), which said it will continue to face an asset cap from the Federal Reserve through the end of 2019, actually saw loans shrink by 0.2% year-over-year. Mortgage markets have been hampered by rising rates, and the Fed reported that loan officers have tightened their standards on construction loans for commercial real estate. As the largest banks’ trading desks get slammed by volatility, RBC cast light on the less capital markets-reliant super-regional banks like M&T Bank Corporation (MTB), which Cassidy dubbed the “Super Bowl Champions of Banking.” RBC said M&T was one of the best performing U.S. banks because of its ability to return 146% of earnings to shareholders in dividends and stock buybacks, which was helped by “robust” commercial and industrial loan growth and controlled costs.